The G4FA engine belongs to the Gamma series, which appeared in 2007. Gamma engines replaced the old Alpha engine series. The new series consists of two engines - this 1.4-liter engine and the 1.6-liter G4FC. The 1.4-liter G4FA engine has the same aluminum cylinder block as the G4FC. In contrast to the Alpha series, there is timing chain inside Gamma engines. The timing chain and tensioner don't need maintenance for the engine warranty period. 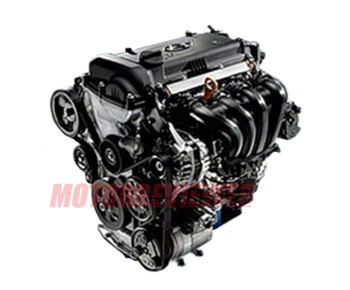 The engine is equipped with continuously variable valve timing system CVVT on intake camshaft only. Also, there are no hydraulic tappets installed in the engine, and valve gap adjustment is required. The G4FA longivity is not great. The cylinder block is not rebuildable. The manufacturer gives 100,000 miles engine warranty, and this is abysmal numbers for our days. But the main advantage is a low price for a complete engine replacement. 1. The common issue is a knocking noise inside. If that noise disappears after the engine warmed up, this is timing chain noise. You can relax - this is a unique feature. 2. Vibrations at 3,000-3,500 rpm. Hyundai-KIA said that is the feature of the engine. Engine steps in the resonance at middle RPMs and you can feel some vibration. 3. Whistling. The issue is weak tensioner for alternator belt. Tighten it up and whistling will be gone.